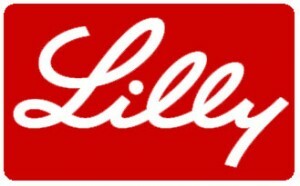 Eli Lilly & Company reported adjusted earnings for the third quarter of 66 cents per share that were in line with estimates on Wall Street but were 41% lower than earnings from the same period one year ago. Revenue for the third quarter was down 16% to just over $4.87 billion, which reflected the competition from generic drugs for Evista and Cymbalta in the United States. However, revenue was slightly higher than Wall Street estimates of 4.83 billion. Earnings, which include special items, declined by 58% to just 47 cents a harsh during the 2014 third quarter. Revenues were down by 16% because of lower volume. The impact of changes in prices and fluctuations in currency were quite negligible. The volume decrease was due mainly to Cymbalta losing its patent protection in December of 2013 in the U.S. and March 2014 patent expiry in the U.S. of Evista. Revenue in the U.S. fell 33% to just $2.22 billion which reflected less volume from two drugs losing their patent protection. Revenues outside the U.S. were up 8% to over $2.66 billion. Zyprexa in the fourth quarter recorded revenues declining by 8% to end the three-month period at $2.66 billion. During the three month period, Zyprexa declined by 8% in revenue with the total reaching $257 million. Cymbalta sales were down 73% to end the quarter at $368 million. The drop in revenue was even more in the U.S. with Lilly seeing Cymbalta sales in the U.S. plunge by 94% because of the patent protection loss. Sales in Evista were down 65%, while in the U.S. they fell 82%, because of loss on March of 2014 exclusivity. Sales in the U.S. were down by 14% because of lower prices. Products that showed growth during the recently ended third quarter were Alimta, which was up 5%, Humulin that was up 8%, Humalog and Cialis as both were up 8%, Forteo, which was 8% higher and Strattera, which was up over 11%. The Animal Health sector at Eli Lilly added revenues of $585 million, which was 10% higher.